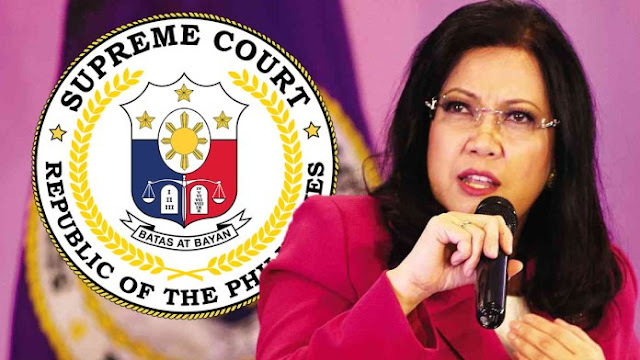 The Supreme Court (SC) is attracting a lot of attention lately due to the impending impeachment trial of the current Chief Justice Lourdes Sereno. The concrete evidence that stand as the foundation of Sereno’s impeachment would be incredibly challenging to topple over, likewise media and entertainment found ways to milk Sereno’s incredibility. Sereno shouldn’t be a magnet of controversy nor a source of entertainment, she isn’t a celebrity or an entertainer. A judicial figure head shouldn’t be exposed to the vulgarity of media nor of politics, yet other than the paparazzi that’s after her controversy, the Liberal Party is using her as a podium for their political stands and so called “defense”. Despite all the “support” for the Chief Justice, only the critics are the only ones make complete sense in this politicized issue. They are building a case based on her violations and they persistently questions her qualifications as Chief Justice, even asking her to resign to all this unwanted attention that’s directed to the SC. Yet Sereno is hardheaded, amidst all this controversy, her self-entitlement continually prevails which is ironically drawing more attention from the media rather than repulsing it. The fact that our society is modelled after the west is common knowledge but we fail to grasp the fundamentals of how a western society works, we instead copy it and still end up failing to do so. Politicians, public officials and even a number of citizens are turning into psychopaths due to their inability to feel responsibility towards their own social obligation. And when fighting tooth and nail against the odds that were created by their irresponsibility, they’ll resort to framing or blaming another innocent individual, hopefully Sereno wouldn’t end up in that light. The loss of trust, this is currently the only consequence of this impending impeachment. Neither the public nor her own peers can rely on such a political Chief Justice. Rather than focusing on salvaging what honor that she could for her own office, her self-centeredness pushes her to fight a losing battle and yet taunt negative attention back to the SC. The only solution here is that Sereno must make do like how the Japanese would in a situation like this, commit the most honorable act of resignation which would preserve what small amount of respect that the public has for the SC. Hopefully in the end, it isn’t Sereno’s vanity that prevails.